Tea processing :Withered -Air dried or baked Re-fired(with more fine hairs/flosses) White tea comes from the delicate buds and younger leaves of the Chinese Camellia sinensis plant. These buds and leaves are allowed to wither in natural sunlight (also known as wilting) before they are lightly processed to prevent oxidation or further fermentation. The name Baihaoyinzhen means ‘white fur, silver needle’. It vividly encapsulates the appearance of the tea. The tea leaves are thin like a needle with a layer of white coat on them. There is a special silver sheen to the leaves, thus ‘silver needle’. Each tea leaf is about 3 cm long. When brewed, the leaves all stand up vertically like hundreds of needles, constructing a unique visual experience. There is also a layer of fine white coat floating on top of the cup, almost like fog. Fuding is famous for tea with a thick layer of white coat, which tastes young and refreshing. 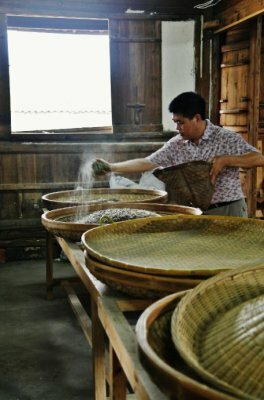 Zhenghe on the other hand produces tea with a thinner layer of white coat, which tastes warm, smooth and very fragrant.The harvesting of Baihaoyinzhen is a painstaking process. Tea cannot be picked on rainy days or early morning when there is still dew on the leaves; leaves which have experienced any kind of damage are discarded. Only the finest, healthiest tea buds are picked. Silver Needle White teas happen to be made up of very young flower buds along with fresh tea leaves, each of which have already been identified for containing greater levels of caffeine as compared to more aged leaves like those present in green teas. It is the finest quality teas of all the teas.It is actually only harvested somewhere between March 15 and also April 10 but only when it’s not raining, and additionally only the particular un-damaged, un-opened flower buds are utilized. 1, White tea has some of the same health benefits as coffee or sodas, but it does not pose the same staining threat to your teeth. 2,Keep your bacteria levels down. Recent clinical studies have shown that drinking white tea increases your metabolism and keeps fat cells from easily replicating. It also has shown promise as a cancer preventative due to it's antioxidant properties. Even if you don't change your diet, drinking 4 cups of white tea a day can lead to a weight loss of 4-8 lbs per year. For first time Silver Needle White Teas drinkers and even those more seasoned drinkers, find that it is a wonderful and likable tea. It is much more mellow on the taste buds and also the stomach than its cousin the green tea family and even if brewed with high temperature boiling water the taste will not be bitter. You will find it a very agreeable drink and very simple to make when you have the right tools. produced in two towns in Fujian Province: Fuding and Zhenghe. 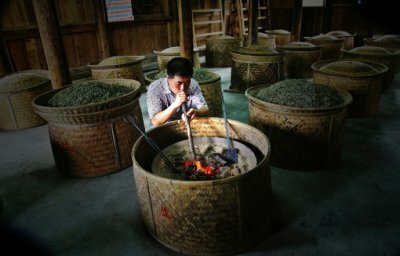 They pioneered the production of Baihaoyinzhen in the mid 19th century and have remained the sole producers of this special tea. 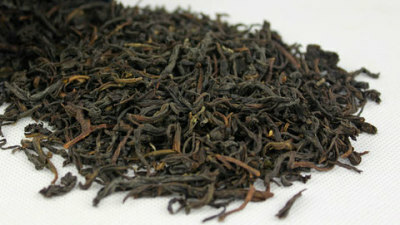 White Peony, known locally as Bai Mu Tan, is a delicate tea made from tea buds collected and withered prior to opening. The latest medical findings suggest that white tea may be a more effective cancer fighter than even green tea. These findings have brought white teas to a much wider audience. If you are beginning your exploration of white tea, our 'White A' Cappella' tea will serve a wonderful introduction. White tea is also a better source of theanine than black or green tea. Fuding White Tea (福鼎白茶) was originally produced on Taimu Mountain, Ningde. Fuding (福鼎), Zhenghe (政和), Jianyang (建阳) and Songxi (松溪) in Fujian are the main growing and producing regions of white tea in China.